I’m often asked by followers on my Facebook page if I take my daycare children to play outdoors when it is raining. 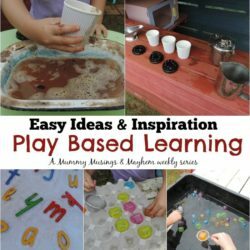 Regular readers know I am a huge advocate for outdoor play in all weather so the short answer is yes we do…usually. There are of course circumstances when I do decide it is not in the children’s best interests, as an educator and /or parent you have to use your common sense! I don’t tend to go outside if it is very hard rain that some children might be scared of. However, I certainly don’t think a little rain should stop you having fun outdoors as there is a whole new landscape available and and so many learning opportunities to explore when it is raining! I love to explore in the fog and a misty rain and so do the children…clothes are easily changed when we come back inside so don’t let that hold you back! 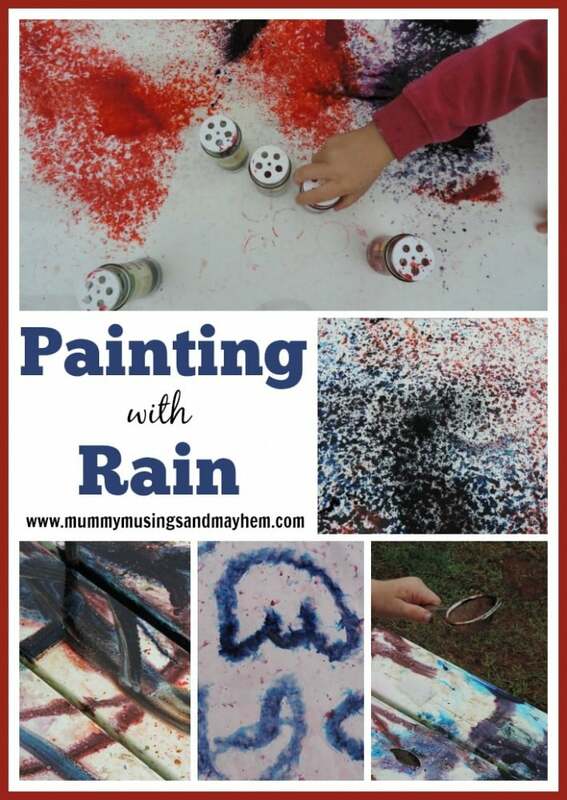 We have had a lot of rain here recently and this has led to many conversations and activities incorporating rain and weather. 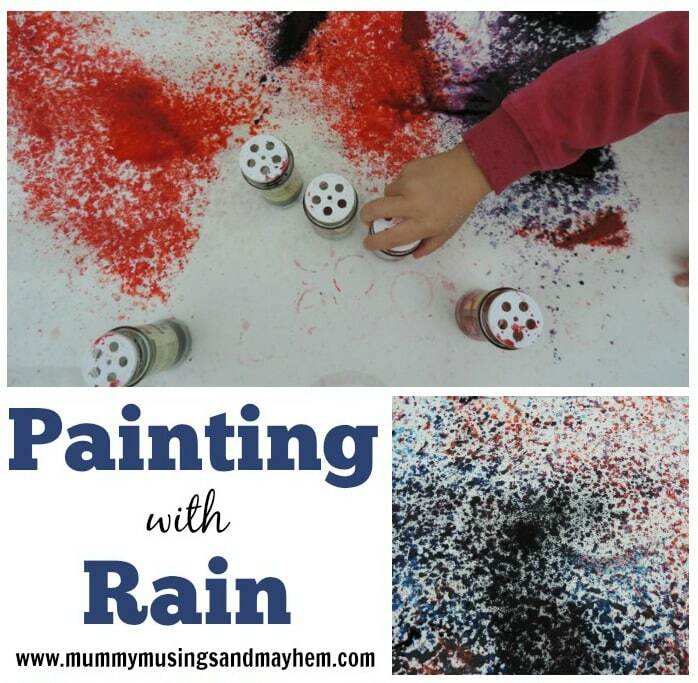 When they became fascinated by the big raindrops landing on one of our craft tables outside I decided to turn it into some messy sensory fun…as you do! 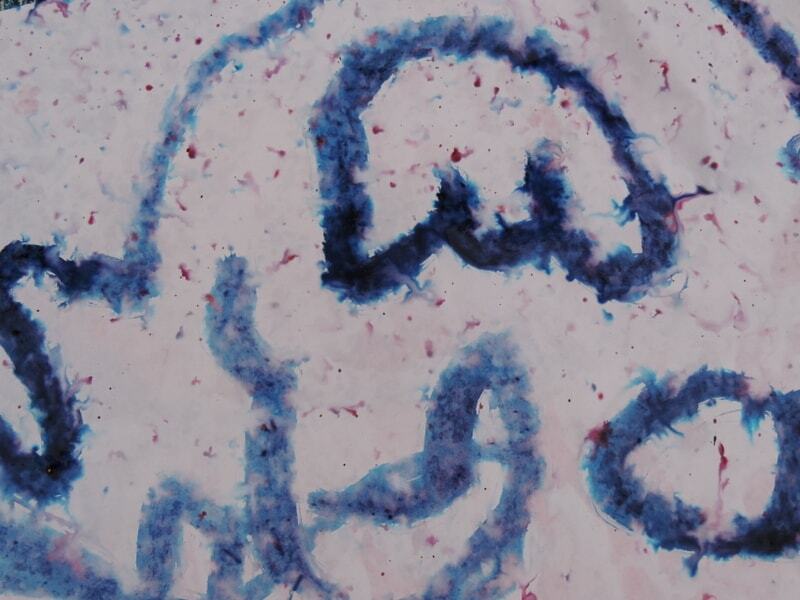 I added a little edicol powder dye (you need only a teaspoon – it is strong dye!) to the shakers and also a little bowl so they could dip in the tea strainers….now all we needed was some water….lucky it was raining! 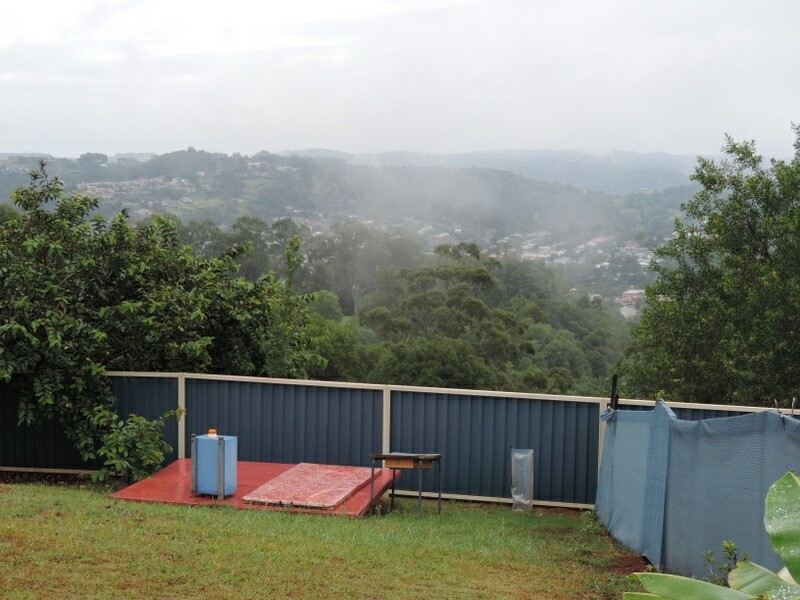 I put down a large sheet of cardboard and pieces of paper on the table first and we watched as the rain drops and mist made the cardboard and paper wet in some areas but left others dry. Then it was time to have some fun and experiment a little. 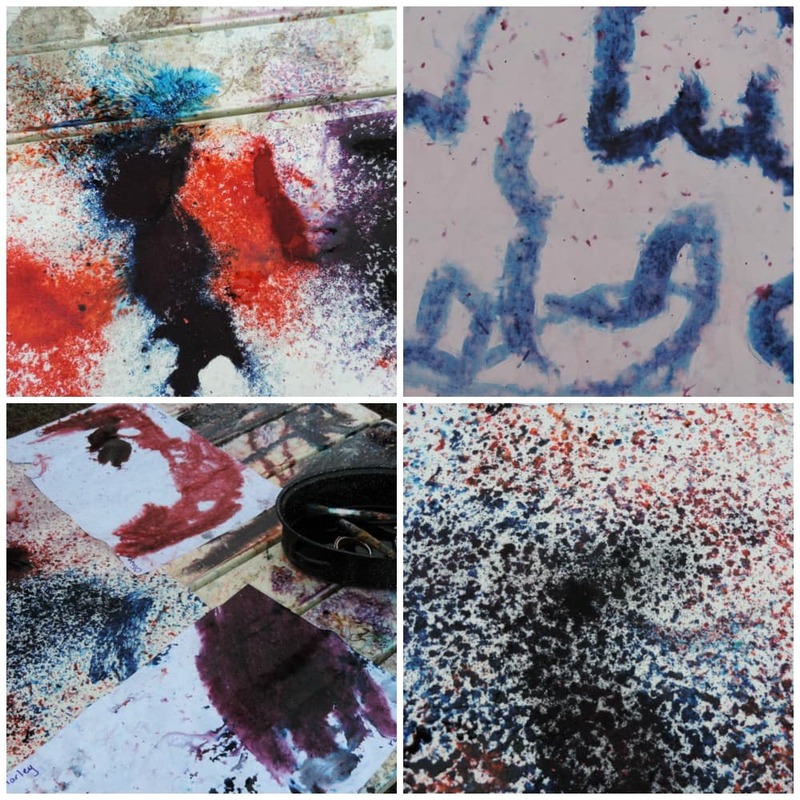 Using the shakers they began to add dye powder to the wet areas and watch as colour appeared in patterns following the drops and rivulets. 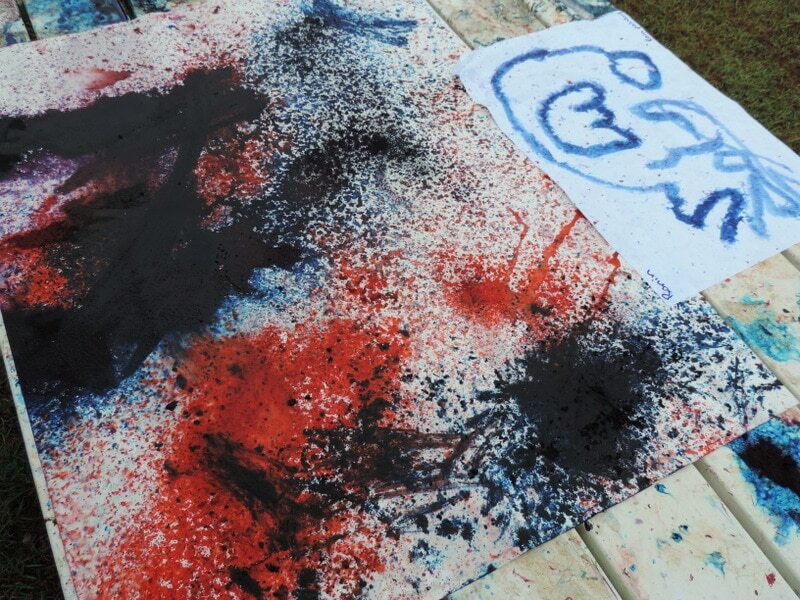 I also added a bowl of water and some brushes so that we could also paint the table as the dye had of course been sprinkled everywhere as well as the cardboard! 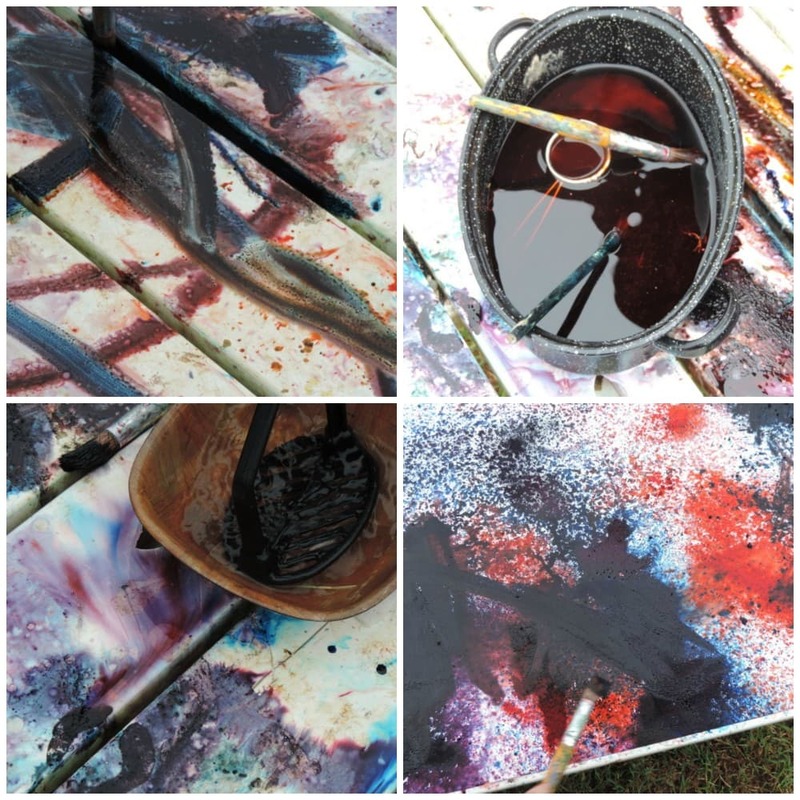 As the rain got harder the colour spread and the patterns and art became bolder. 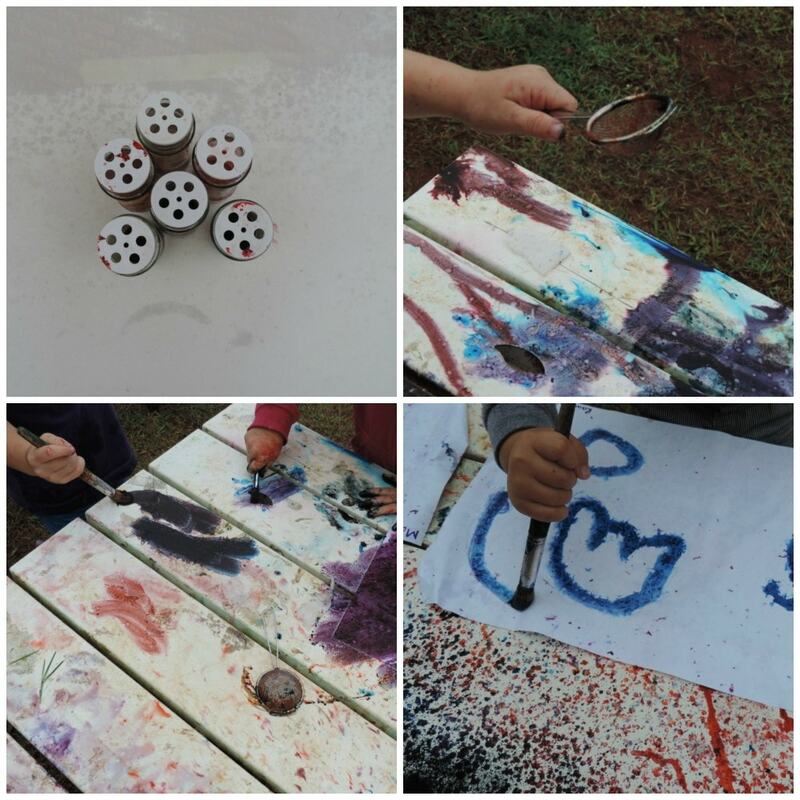 This is such a simple activity but one that offered many opportunities for exploration, discovery, fine motor control and creative self expression. How can we make green? Are those drops big or small? What can we do to the pattern if we use a brush instead of shaking dye on? 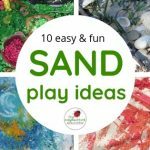 Why not give it a try next time you see the rain coming and ensure you have some fun instead of dreading a morning inside! 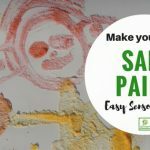 What do you like to do with the children when it begins to rain? 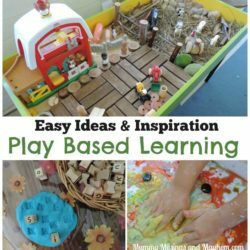 « DIY Recycled Play Series #2 – Musical Fun!